Ninteen-year-old Kyrone Rene Vasquez has a lot to be proud of today. 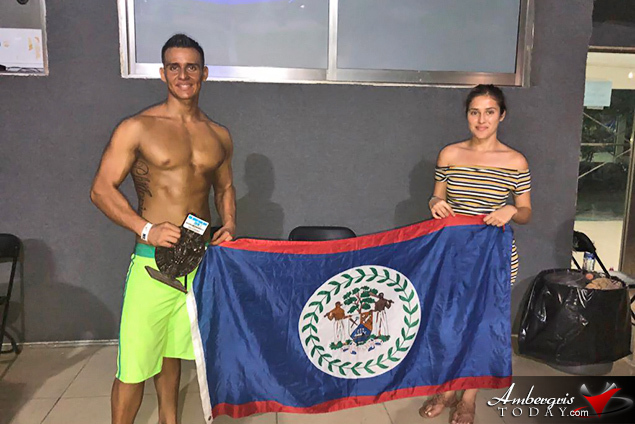 He only started a serious regimen for bodybuilding training eight months ago and this past week he traveled to Cancun, Mexico to participate in his first competition. He came back to San Pedro, Ambergris Caye, Belize with a 5th place trophy and plenty of experience to keep him going. 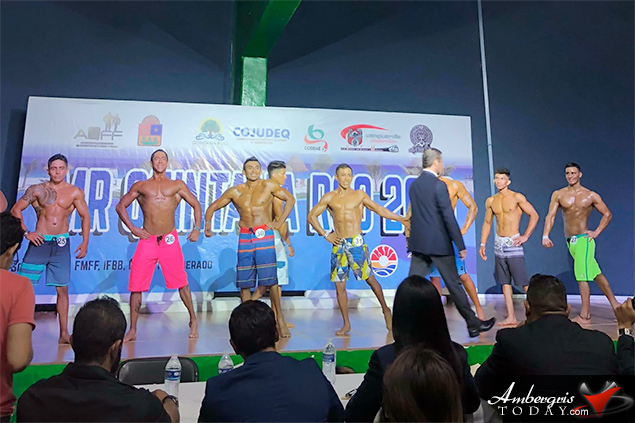 Kyrone Vasquez was in competition on Saturday, August 18, in Cancun at the Mr. Quintana Roo 2018 where he competed in the Men’s Physique category. He was the youngest among 21 other competitors, and the only Belizean, might we add. Kyrone said he pushed and worked even harder these past few months to improve his physique in preparation for the competition. 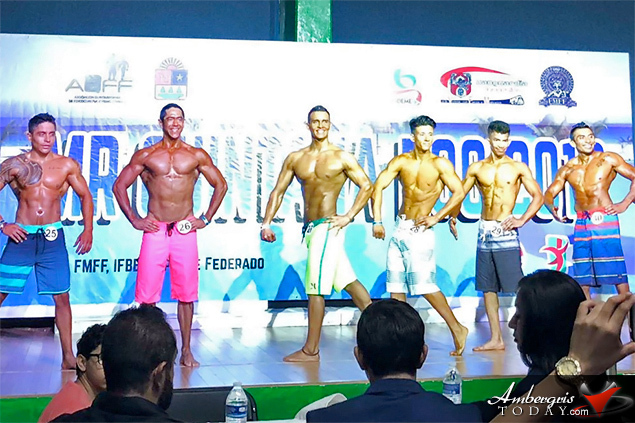 “I was the only Belizean in the competition and there were many outstanding contestants. Nevertheless, I went up there with confidence and proud to be representing my country Belize,” stated Kyrone. 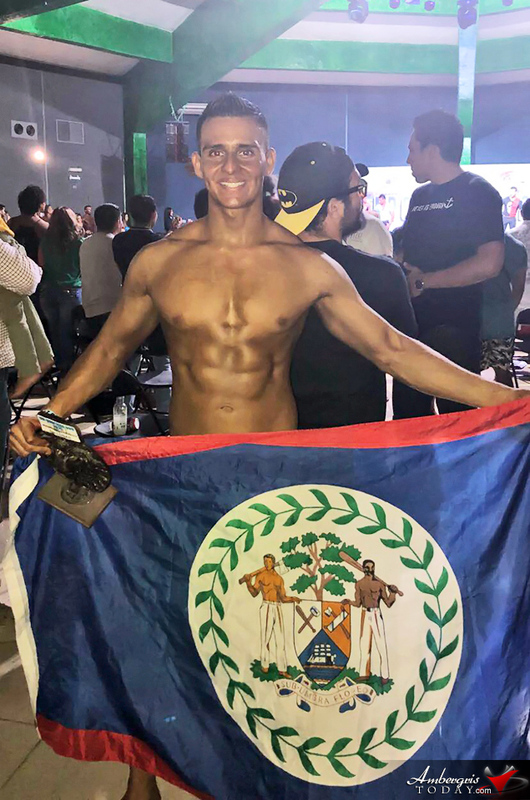 Kyrone is a fitness instructor/personal trainer at Belize Fitness on Ambergris Caye; his interest in health and fitness commenced at the age of 15 when he started working out. Bodybuilding became a hobby that changed his life. Kyrone says he had been drinking a lot and making bad decisions, but he knew that it was not for him and wanted to change his life. He started going to the gym at age 15 during his high school years when he says he was chubby. He was bullied, so Kyrone started running, lost a lot of weight and started to put on muscle weight after he became dedicated to a regular workout schedule. After that he attributes his success to the discipline of pursuing a career in fitness. What started out as a hobby has now become his passion and drive in life, one that has led him to make more positive decisions. His physique is a result of him training on his own, learning about weightlifting, training, bodybuilding and healthy eating has all been self driven and on his own. Kyrone says he is his own coach, mentor and motivator. Kyrone’s goals is to help develop the sport in Belize and build a legacy, with his name becoming meaningful in his community. He says he desires to inspire and help others, especially the youth, to lead a healthier and rich lifestyle which are catalysts to becoming better persons.